Home / Bengaluru / IPL / IPL 12 / IPL 2019 / M. Chinnaswamy Stadium / Match Prediction / Mumbai Indians / RCB / Royal Challengers Bangalore / IPL 2019 Match 7 RCB vs MI Match Prediction, Probable Playing XI: Who Will Win? 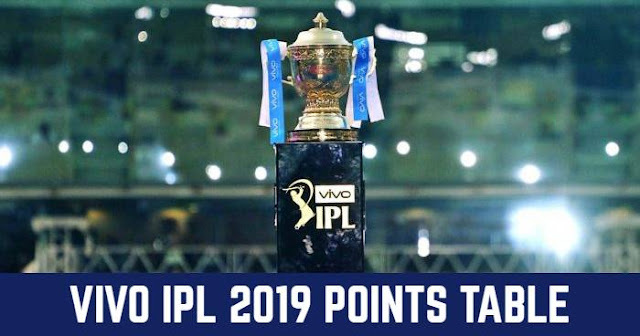 IPL 2019 Match 7 RCB vs MI Match Prediction, Probable Playing XI: Who Will Win? Probable Playing XI for RCB: Virat Kohli (c), Parthiv Patel (wk), Moeen Ali, AB de Villiers, Shimron Hetmyer, Shivam Dube, Colin de Grandhomme, Navdeep Saini, Yuzvendra Chahal, Umesh Yadav, Mohammad Siraj. Probable Playing XI for MI: Rohit Sharma (c), Quinton de Kock (wk), Suryakumar Yadav, Yuvraj Singh, Kieron Pollard, Hardik Pandya, Krunal Pandya, Ben Cutting, Mitchell McClenaghan, Rasikh Salam, JaspritBumrah. Looking at the dew coming into play in the second inning, toss winning captain would like to bowl first . Looking to the slow and turning pitch 180 will be a good total to post but 195+ can be considered a par score here. Our Prediction for IPL 2019 Match 7 RCB vs MI Who Will Win? No two batsmen have scored more runs at the Chinnaswamy Stadium than Virat Kohli and AB de Villiers. Runs – or the lack of – from Rohit Sharma’s willow has a direct bearing on the Mumbai Indians’ fortunes. This battle will be between the batsmen of both teams. 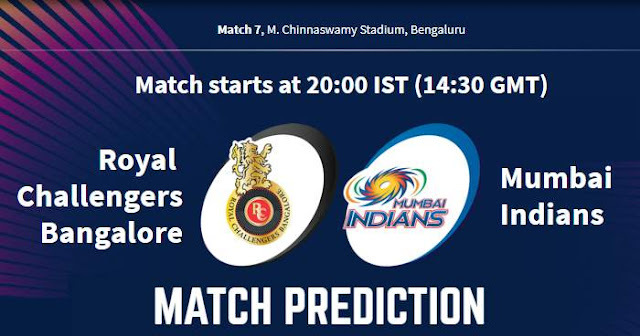 In our prediction, Royal Challengers Bangalore are more likely to win this match as their stunning record at Chinnaswamy against Mumbai Indians.